If you have any questions or want more information about our Club, please contact Club President Jeff Swanson or call 630-215-8881. Welcome to Stallions Gate Mustang & Ford Club! SGM&FC is a social club of Mustang and Ford enthusiasts in the Chicagoland area. Started in 1993 and headquartered in the northern suburbs of Chicago, we have cruises during the summer, an annual holiday party and several other exciting activities throughout the year. Our web site contains information on Club events and cruises so check back often to see what we are up to. 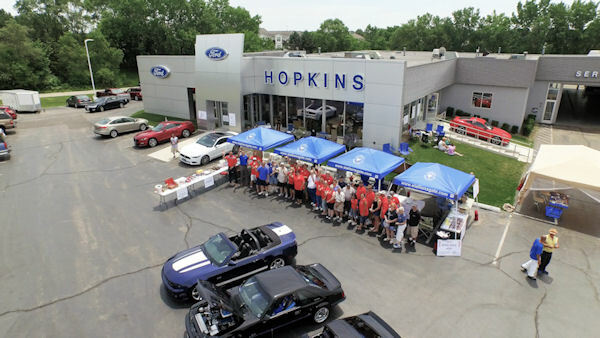 We are a non-profit club registered with the state of Illinois and Ford Motor Company's Mustang Club Center. We also support our community through charitable donations to Operation Support Our Troops America. SGM&FC is an active club with members' interests ranging from classic restorations, cruising, racing or just plain enjoying their rides. Whatever your interest you'll find friendly members willing to answer your questions or assist you. You can now pay your annual club dues and make a charitable donation to our charities with PayPal!! A PayPal account is not required to make a payment. Visit the Membership page to pay your dues and the Club Sponsors and Charities page to make a donation to our supported charities! Come join us at one of our events!